Thousands of people brushed up their calligraphy as they gathered and competed in the traditional Kaikizome (literally 'first writings') of the New Year on Thursday, January 5th. Similar events are also held in homes and other venues across Japan at this time of the year and are meant to help strengthen one's resolve and resolutions for the new year - regardless of the characters used. Participants write at a New Year calligraphy contest in Tokyo, Japan, January 5, 2017. A girl participates in a New Year calligraphy contest in Tokyo, Japan, January 5, 2017. Young contestants write calligraphy during the annual New Year calligraphy contest in Tokyo on January 5, 2017. About 3,000 people took part in the calligraphy contest to celebrate the start of the new year. A young contestant writes calligraphy during the annual New Year calligraphy contest in Tokyo on January 5, 2017. About 3,000 people took part in the calligraphy contest to celebrate the start of the new year. Participants show off their writings at a New Year calligraphy contest in Tokyo, Japan, January 5, 2017. Contestants display their calligraphy banners during the annual New Year calligraphy contest in Tokyo on January 5, 2017. About 3,000 people took part in the calligraphy contest to celebrate the start of the new year. 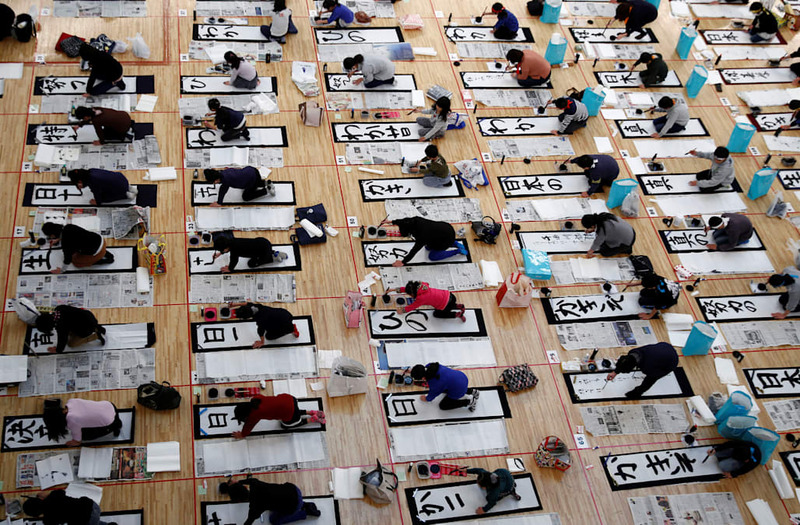 Young contestants prepare for a New Year calligraphy contest in Tokyo on January 5, 2017. About 3,000 people took part in the calligraphy contest to celebrate the start of the new year. At the Nippon Budokan, originally the judo stadium for the 1964 Summer Olympics, nearly 5,000 people aged from three to 93-wrote down auspicious characters or phrases either assigned in advance or free-form depending on their ages and levels, on a blank white paper with a traditional brush and black ink. The air was tense as participants concentrated to perfecting each stroke. Every stroke order, angle and even the flick of the brush counts towards a perfectly constructed character. One of the participants, Kana Ichikawa, said she has participated in the event every year for 17 years. "Since this event at the Nippon Budokan is the beginning of every year for me, I participated in it and wrote this in order to make a fresh resolution to do my best this year," Ichikawa said, showing off her work and adding that this year was all the more important as she will be finishing college and joining the work force in April. All participants are required to finish writing a preset word or poem of increasing complexity and corresponding to one's age or level of competence within an allotted 24 minutes, and are judged on the beauty of their strokes, and character of their writing. "I wrote this to inspire myself with courage for the rest of the year,' said 12 year-old participant Mihoko Oki, who wrote characters "true courage". "It was my first time taking part in such a big event, so I was very nervous. I was writing so that I can do my best this year," said 17 year-old participant, Shohei Mikuriya, a head of calligraphy activity in his high school in Fukuoka, southern Japan, who also wrote a Chinese poem. 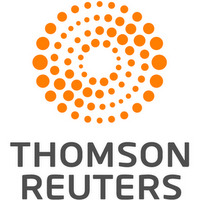 Winners will be announced at a separate ceremony on February 26. Calligraphy is a widely practiced and revered art in many parts of Asia. The act of writing Chinese characters is believed to sharpen the mind and improve concentration.